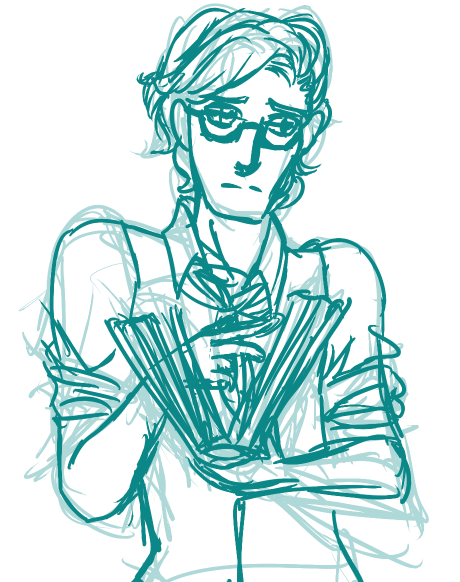 Welcome to the first in my series exploring the characters of The Faraday Files! To start, here’s a little backstory and trivia about my narrator and arguable protagonist, Christopher Buckley. 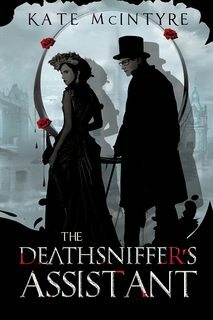 The Deathsniffer’s Assistant has been compared a lot to Sherlock Holmes — both favourably and unfavourably. I’m a Holmes fan, myself. The books, the Guy Ritchie movies, the modern adaptation on BBC… it’s easy to think that the concept for the book came from those places. But in a case of truth being stranger than fiction. The Deathsniffer’s Assistant started its long journey quite a while before the current Holmes renaissance. And the extent of my exposure to Holmesian media was my childhood favourite Disney film: The Great Mouse Detective. Did I absorb the concept of the brilliant eccentric and the staid companion from literary culture? Or do Olivia and Chris somehow not share a common ancestor with their most obvious counterparts at all? It’s hard to say, but there’s one thing that’s certain: Chris didn’t start as a Watson to Olivia’s Holmes. His origin was somewhere smaller and simpler. I knew that I wanted to write a detective style fantasy murder mystery. I’ve always loved the dynamic of a woman in a position of professional power over a male subordinate, so the idea of a lady detective and her male assistant came from that. And as the character of Olivia Faraday began to take shape, I realized that she could never function as a narrator. She’d be too strange and alienating. So that’s what I started with Chris. His relationship to the reader would be as narrator, and his relationship to Olivia would be as foil. So he had to be reasonable, nonthreatening, and unassuming. He had to be as invisible a person as Olivia was remarkable. He grew from that seed. Where initially I wanted to make him more of an every-man, I found myself drawn to the concept of writing him as a more mannered, sensitive character. He didn’t interest me me in his initial skin, as a simple, unassuming audience surrogate. I like writing characters who are flawed and occasionally unpleasant, so Chris evolved his snobbery, his close-mindedness, his judgemental nature and his prickliness from my being bored with a more conventionally likable protagonist. Chris’s relationships are really the cornerstone of the Faraday Files, especially his relationship with Olivia. I really enjoy writing him interacting with others. Because of my decision to have a single POV story, Chris is in every scene and his personal issues come to be the anchor the conspiracies, murders, and politics are tethered to. I knew I wanted him to be a character who could have interesting dynamics with everyone else, with all kinds of sparks and fireworks and potential for growth. I’ve been really happy with the reader reaction to Chris so far. Some have pointed out that he feels like an actual orphan with grief and baggage — that’s something I worked hard at achieving. Some have also mentioned that he’s not your typical male fantasy protagonist, which I talked more about in this blog on the subject. Most have said that they felt for him, and pathos is really the minimum I ask for. Sadly, I have less to say about Chris than I wish I could. 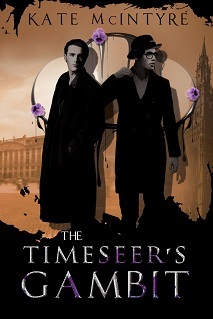 My second book, The Timeseer’s Gambit, delves a lot deeper into Chris’s psyche than The Deathsniffer’s Assistant does, and it’s hard to talk about him without risking letting spoilers drop loose. I hope those of you who are fans of his will be excited to see how he develops and changes in the sequel. So, what do you all think about my accidental Watson analogue? Any questions asked about Chris here, I’ll try to answer in a Q&A later on! With thirty ratings on Amazon and fifty on Goodreads, it looks like a consensus is officially emerging on the topic of my debut novel. And that consensus, to my enormous pleasure and glee and pride, is that it’s pretty damn good. The Deathsniffer’s Assistant has a 4.22 average on the very specific Goodreads, and a 4.5 on the considerably less precise Amazon. I told myself if I could get into the 3.9-4.1 range, I’d consider the novel a resounding success, but it looks like I sold myself short. So far, even my most negative reviews — for which I’m grateful and learning from — haven’t fallen below the 3 star mark. It’s hard to argue with numbers, and as it stands, my numbers are looking very encouraging indeed. Of course, numbers are stale and simplistic and can only ever scratch the surface of impressions. A five star rating makes my toes curl in pure happiness, but some kind or even critical words make my day complete. From meeting new fans eager for me to sign their dog-eared copies to the most amazingly encouraging words on the internet, interacting with the people, reading their feelings, and seeing the passion they can feel for my characters has been the absolute best experience of my life, and everything I ever could have hoped for. So many years of blood, sweat, and tears went into The Deathsniffer’s Assistant. And even one stranger’s positive opinion has made it all worth it. Having officially reached this threshold, I’m going to start a new weekly series about the actual content of my book. I’ve tried to avoid talking much about it because I don’t want to spoil anything so soon after release. But I think the time has come to start unboxing some of this book that so many people have liked so much. As a resident of the far east coast, I’ve seen a lot of things that most people haven’t. The wild, grey Atlantic ocean. The Fundy Bay tides. Forests covering absolutely everything. The glory of that in the autumn. Of course, there are a lot of things I haven’t seen. Like, for example, a mountain. I spent my vacation this year on the southwest coast. We touched down in Ontario, California and walked out into the world and I couldn’t believe my eyes. The horizon was completely dominated by mountains! Scrub-lands! Palm trees! Wild cacti! Dry heat! I must have looked like a little kid stumbling through the area. “Write what you know” is an incredibly overused and overrated statement. 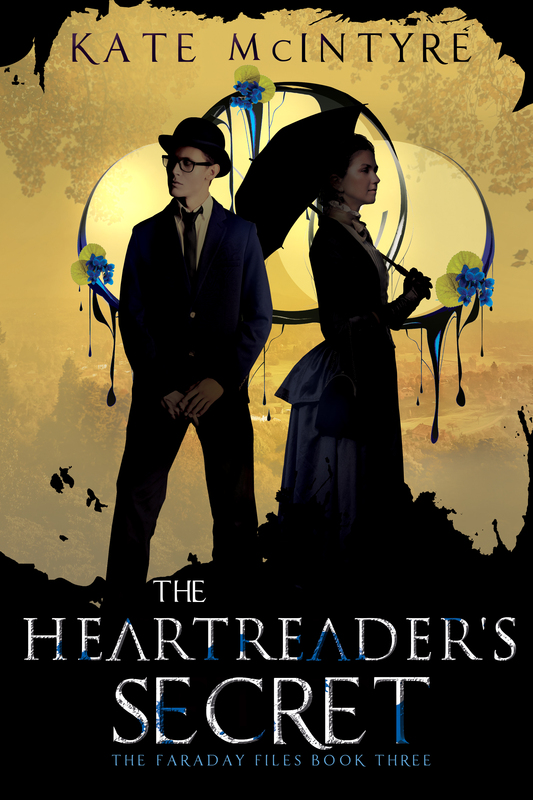 In the words of fellow fantasy author Mary Robinette Kowal, “Write what you know is what’s saddled us with so many novels about English professors fantasizing about having affairs with their coeds.” I’ve never seen a unicorn, a body, or an elemental. I’ve never solved a murder, ridden in a carriage, or taken notes with only my mind. But I think I did a pretty good job writing all those things. “Write what you know” should really be something more like “have enough knowledge about what you’re writing that you can fake it, and throw in some personal experiences to add flavour.” If people just wrote what they knew, we wouldn’t have any speculative fiction at all. But with that said, gosh there sure is some value in new experiences from a writing perspective. For instance, having spent a week driving up and down mountains, I’m embarrassed at how I’ve written them in the past. They’re just so big that I imagined their size was a gradual thing. They look that big from far away, but up close, they must look completely different. It must take forever to drive up a mountain. Never did I imagine that we actually could drive up and down one of those San Bernadino mountains in a half hour, the car at a 70 degree angle all the while! Despite being on vacation, I learned a lot on my trip to bring into my work. Mainly, to never discount the value of real world experiences. I’ve thought about writing a Gold Rush fantasy at some point, and I’m definitely realizing that I might need to spend more time in the scrub-lands before I can really tap into all those things. “Write what you know” might be oversaid and overrated, but there’s value in new experiences.